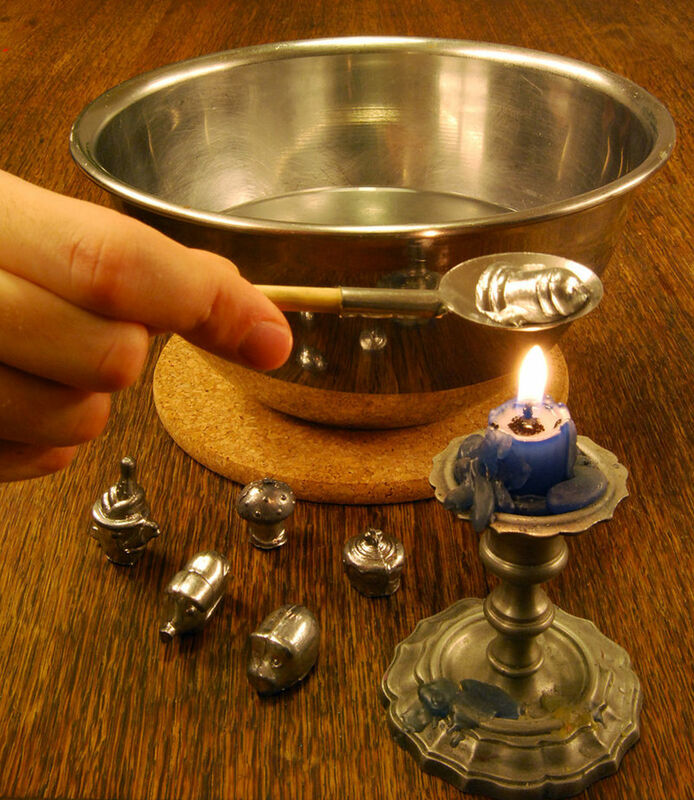 Bleigiessen, a form of molybdomancy, is a traditional New Year’s Eve activity whereby molten lead is dropped into water. The shapes formed are believed to foretell what the coming year will bring. Learn about this form of divination here.